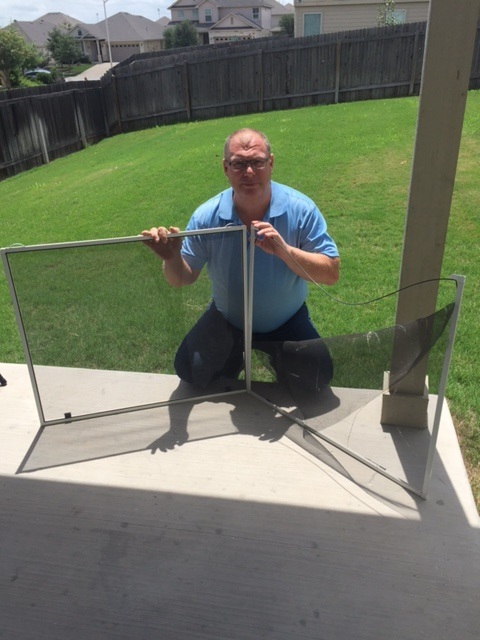 When A+ does window cleaning we do it right, Serving Austin, Cedar Park Leander and surrounding towns do it all. 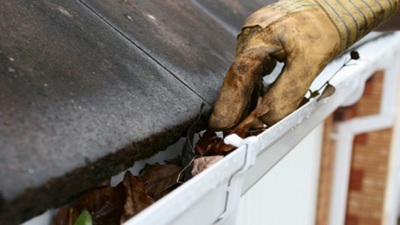 We remove hard water stains, we lift the window clean out the tracks and wipe down the sills. 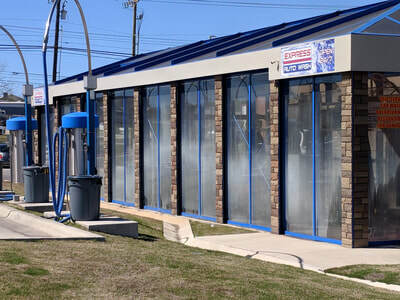 We Also remove the screens and wash them through all for one low price..
​Do you have a store front, restaurant or commercial building where you need to make a good impression with your customers? 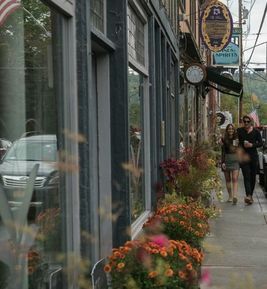 Windows and the exterior of the building are the first things people see and first impressions count. 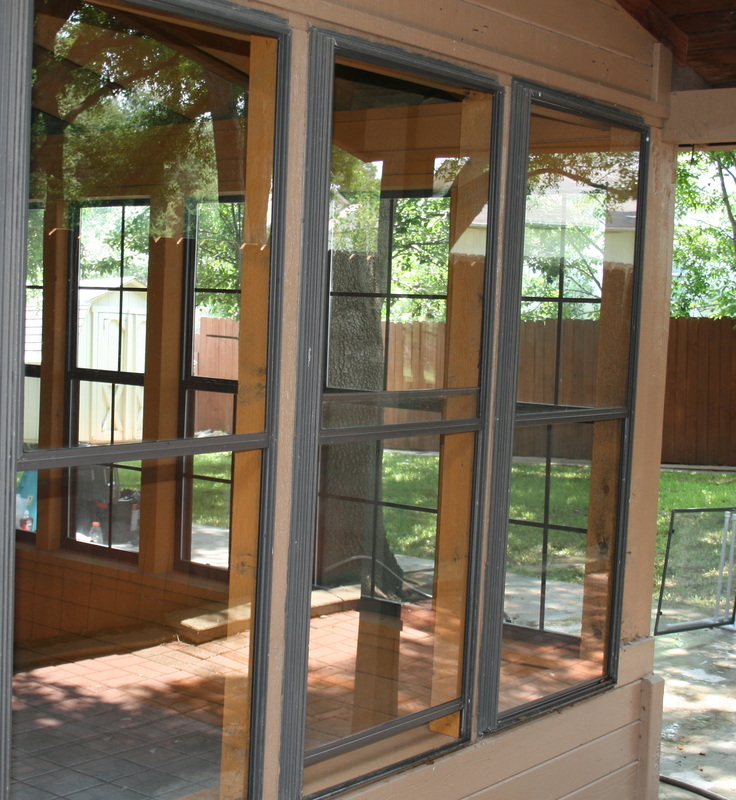 A+ Window Cleaning can provide you with bi-weekly or monthly cleaning for your exterior and interior glass as well as Pressure Washing for entryways and pavements. Give your customers that A+ look today. 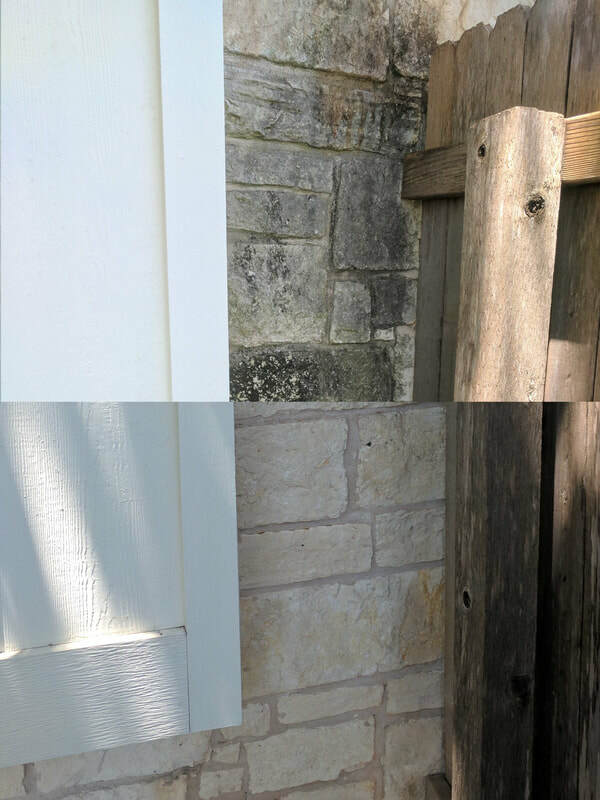 Mold and algae build up on the exterior of the stone around your home and on surrounding walls. 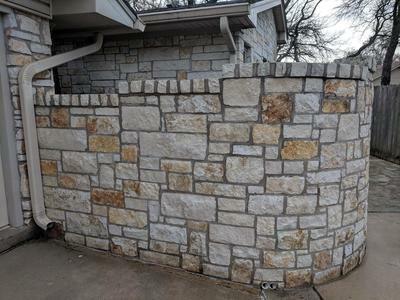 Pressure washing not only damages the soft stone by chipping it away but also does not get to the root of the problem meaning the algae and mold will only come back quicker. Soft washing uses a low pressure system so the cleaning agent attaches to the cause and kills off the mold and algae, keeping it away for longer and giving your home /business a fresh clean look. Whether you're in need of a one time cleaning or are looking for a yearly maintenance package, we're the team to trust. Gutter cleaning is more than just time-consuming. If you don't have the proper tools and skills, you could end up putting yourself in a very dangerous situation while you're up on that ladder. Why risk it when A+ Window Cleaning Services can help? If you're looking into different options for affordable screen repair services you can trust the crew at A+ Window Cleaning Services. 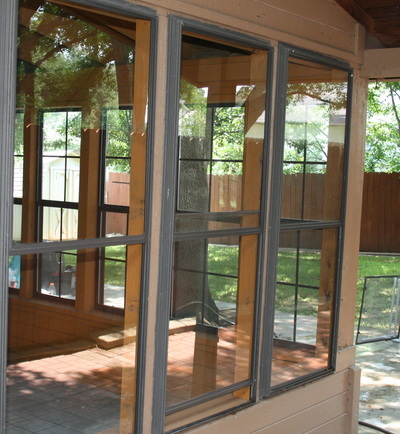 Whether you need a screen cleaned or replaced, we can help. If you're looking into different options for affordable pressure washing services, you can trust the crew at A+ Window Cleaning Services. 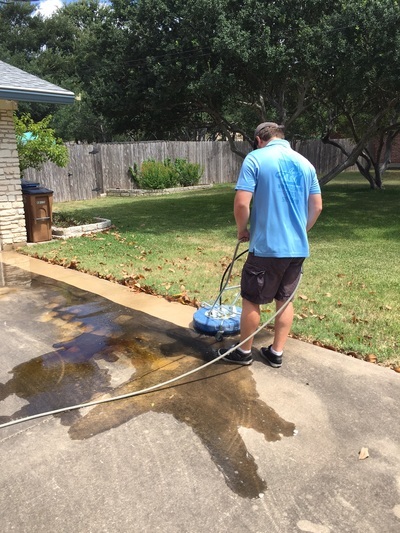 Whether you need graffiti removed from a wall or have unsightly oil stains on your driveway, we can help.